YouTube is the second largest search engine in the world. More than 1 billion unique users visit YouTube each month. Leveraging the platform to find, engage and retain your audience is a no-brainer. Video is a great way to demo a new product, tell your corporate story, or take prospects on a virtual tour of your facility. If you spend the resources on producing great content make sure you spend the time optimizing your video in order for it to be discovered by your audience. Where do you start? • Give your video a compelling title that will prompt someone to watch it. • Include descriptive and relevant keywords toward the beginning of a title. • Describe your video in one to three sentences that will give your audience an idea what it’s about. • Include relevant keywords that will help it be discovered. • Consider adding links to related videos and your website. • Create tags to help explain what your channel is all about. If you have older videos that lack proper metadata, consider updating them with relevant information. This may increase discoverability, even for videos that have been public for a long time. Add thumbnails that accurately represent the content. They should compliment your video’s title to tell a cohesive story. Keep in mind they will be displayed throughout the platform in various sizes and formats so make sure they are high-resolution. 2. Select a video and click the Edit button. 3. Click the Custom thumbnail button and upload a thumbnail. TIP: When shooting a video, take stills that will make great thumbnails. Annotations are clickable text overlays that can be added to your videos to give more information, increase engagement, and aid in navigation. 1. Go to Video Manager. 2. Select a video and click the down arrow to the right of the Edit button and select Annotations. 3. Click the Add annotations button. Although this is an effective feature don’t overdo it. You want to engage the user not have them unsubscribe to your Channel. Select a name that will give your audience an idea what your channel is about. Upload a high-resolution (800px x 800px) image. Use customized, visually compelling channel art that reflects your brand. A channel trailer is meant to advertise your channel. You can enable the trailer view and the video will auto-play when non-subscribed viewers land on your channel. It’s your opportunity to convince first-time viewers to subscribe. Visit YouTube to read more on how to add a trailer. Go into the advanced settings and link your website to make it an “associated website”. 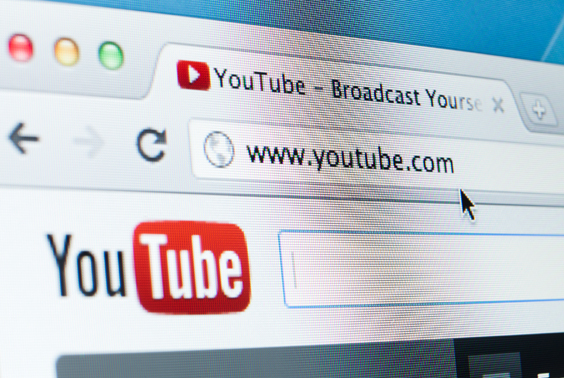 YouTube will then verify that your channel officially represents your brand. For more information on how to verify your channel visit Advanced Channel Settings. If you have a presence on Twitter, Facebook and G+ make sure you link to them to allow further engagement. After your video is posted review the analytics to see what is being viewed and what is not. Use these insights to map out your content marketing strategy and build a loyal audience. Click here for more info regarding YouTube Analytics. Contact Brenner to find out how we can help you succeed online.